I’m beyond thrilled to share that I’ve been selected as the Outreach Officer for an IODP Antarctic expedition next year called Iceberg Alley (Iceberg Alley and South Falkland Slope Ice and Ocean Dynamics). Around mid-March next year, I'll head down to Punta Arenas, near the southern tip of Chile, and board the JOIDES Resolution. The JR is a research vessel with a drilling derrick. It's able to drill deep into the seafloor to collect core samples and various measurements, providing data that informs us about our planet's past. We'll sail through the notoriously wild Drake Passage and into the seas east of the northern Antarctic Peninsula, part of "Iceberg Alley" — where most icebergs converge after drifting counter-clockwise around the continent of Antarctica. Here they meet the warmer waters of the Antarctic Circumpolar Current (ACC) and melt, dropping sediment they picked up when they were glaciers grinding across the continent. We'll drill in the Scotia Sea and the South Falkland Slope during two months at sea. Among other things, the sediment we recover will tell us where the iceberg originated and about melting of the Antarctic Ice Sheet (AIS) in the past. Since Antarctic glaciers are melting now as our planet warms, it's important to know how the AIS responded in the past, so we can better prepare for a future of sea level rise and other changes. I'm honored and so grateful to take on this role and be involved in such important work about subjects that fascinate me. And very excited! 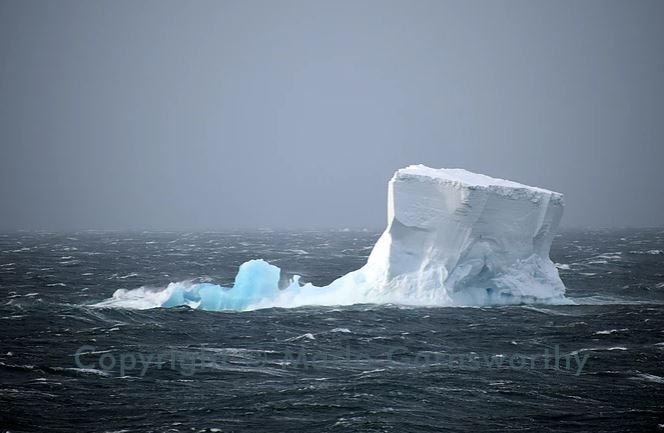 Wild seas, many icebergs, maybe sea ice, polar birds, and science about the Antarctic Ice Sheet... a dream come true!